Pittsburgh, PA (SportsNetwork.com) - Pittsburgh Penguins defenseman Olli Maatta underwent successful surgery Tuesday to remove a tumor in his thyroid gland. Surgery on the tumor, which could've been a form of low-grade thyroid cancer, was performed by UPMC head and neck surgeon Dr. Robert Ferris. Tests to determine whether the tumor is malignant are ongoing, with the results due back within 7-to-10 days. 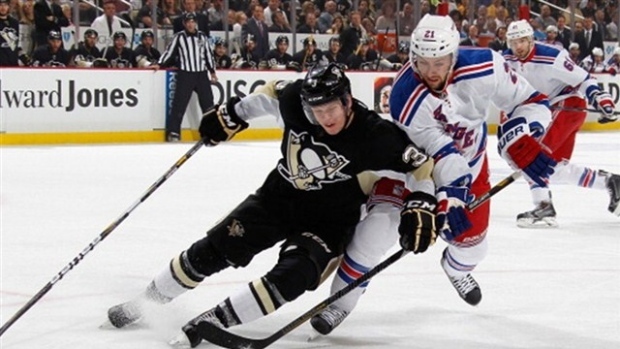 Maatta, 20, is expected to return to the lineup within the next four weeks. "Even if it is found to be cancerous, we do not expect that he will need radiation or chemotherapy, and we anticipate a complete recovery," said Dr. Dharmesh Vyas, the Penguins' team physician. "The surgery went well and Olli is resting comfortably." Maatta has one goal and five assists in 10 games this season. The Finn was selected No. 22 overall in the 2012 draft and posted nine goals and 29 points in 78 games as a rookie last season.